Travis Burns previously played in Australia for Manly Sea Eagles, Penrith Panthers and North Queensland Cowboys. 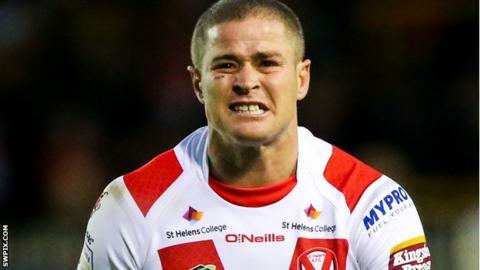 St Helens half-back Travis Burns will return to Australia to join Wynnum Manly Seagulls for next season. The 32-year-old, who is currently on loan at Leigh Centurions, had another year remaining on his contract at Langtree Park. He joined Saints in 2014 from Hull Kingston Rovers for £60,000 and has scored 72 points in 34 appearances. "Naturally, it's a shame it didn't work out at Saints but that is how rugby league goes sometimes," Burns said.